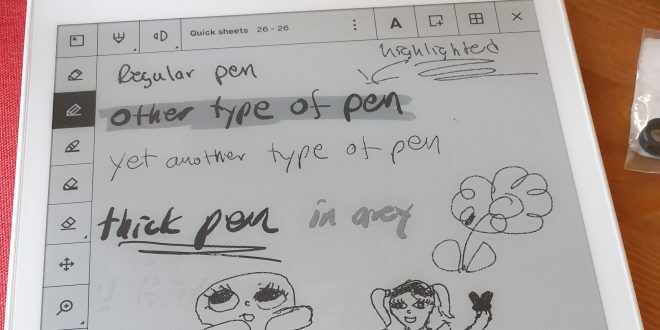 I’ve been using the reMarkable Paper Tablet for over a month now at work and these are my observations. 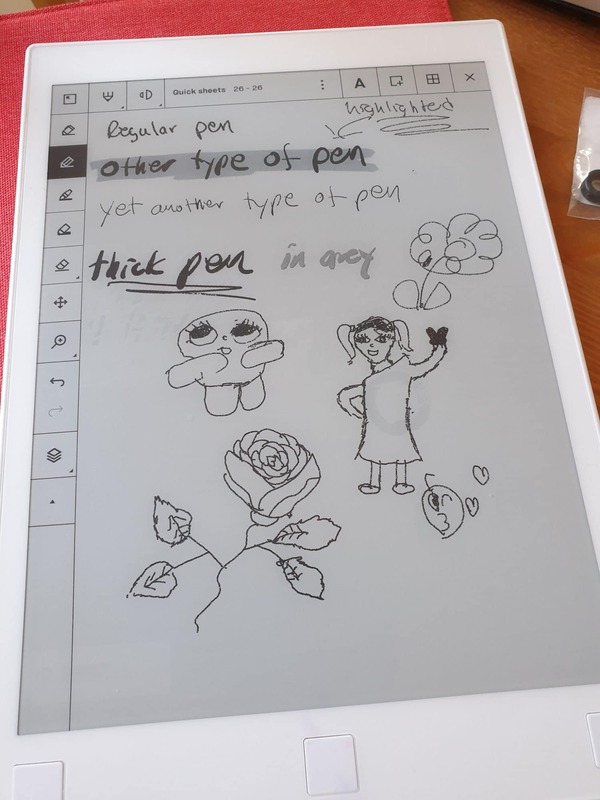 I’ve been testing a lot of solutions to take notes digitally including the latest Apple Pen and a 11″ iPad Pro. But nothing compares to the feeling of writing on the reMarkable Paper Tablet. The feeling is basically the same as writing on regular paper. Writing also feels very smooth and while writing it does not feel like there is any lag from when you write to when the text appears on the screen. The pen has 2048 levels of pressure sensitivity and tilt-detection and you can select a small variety of tips and pen-types. While I am no artist and it does look like it is possible to actually draw on the tablet the options seem quite limited compared to much more specialised art tablets. Still, it should be enough for more regular users like me who want to draw some stuff while writing on the notebooks. In addition to a few different pen types you also have access to an eraser that allows you to erase either by just rubbing what you want gone or marking an area inside everything will be erased. You also can mark an area and move it as well as zoom in/out. There is also a layers-menu where you can add more layers to your page. While you can copy and paste within a page, you cannot copy something and transfer it to another page. 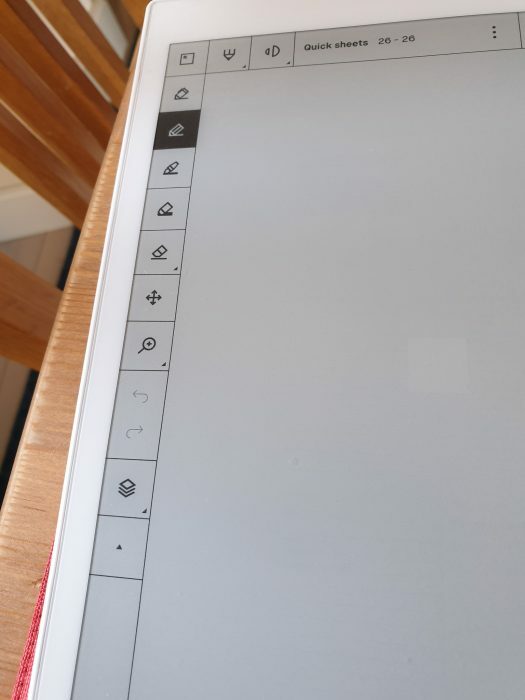 Since this is a e-ink-screen it means that there are some compromises. For example if you erase something it will not be erased right away but at the next screen refresh which can happens in a second or so. I also noticed that there are some bleeding through of page content. It seems that when the screen refreshes sometimes you still can very faintly see stuff you worked on before. This however seems to disappear after a while and I never felt it was distracting. While the reMarkable will not replace a Kindle for reading it at least can work passably as a reader. 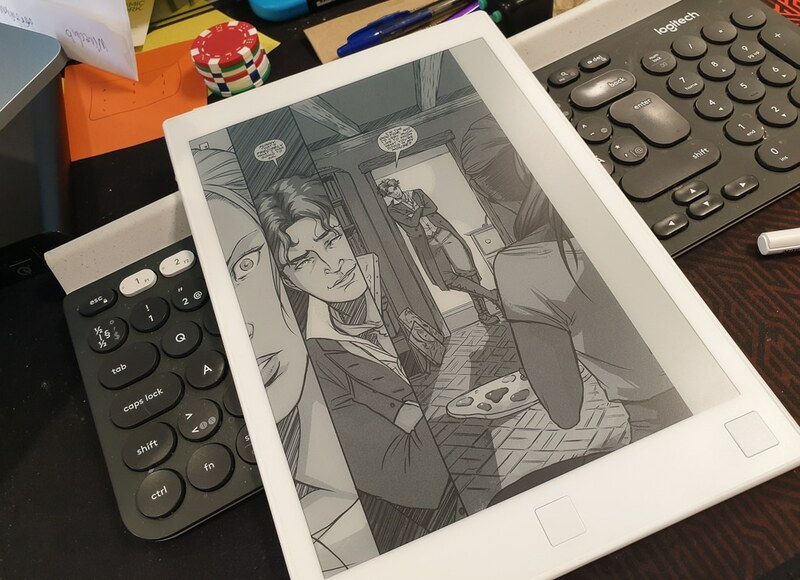 The reMarkable even can manage to work as a comic book reader as long as you can accept that it is grey-scale and that it is pretty slow in switching pages. You still can change text size as well as select the font when reading. 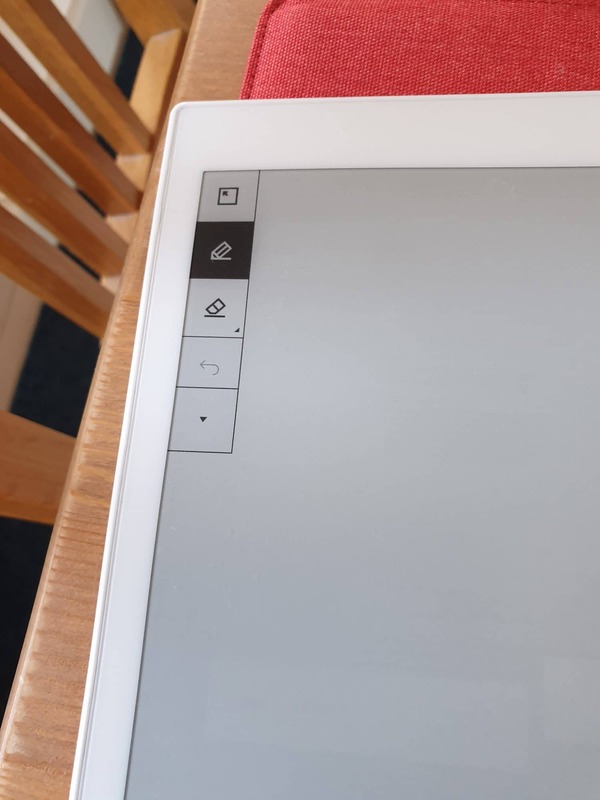 Where it “shines” of course is the ability to annotate a PDF or epub-document and then export the resulting document either as a PDF, image or even an SVG. This means you can sign a PDF and send it back. The reMarkable has a beta-feature which allows you to take your handwritten text and convert to typed text. At the time of writing it supports 33 languages and when I tested it with Swedish it worked surprisingly well. The conversion is done in the cloud and is not stored on the device at the moment. You can however send it via email to someone else. Other features include being able to put a lock-code on device so that you cannot access it after it goes into sleep mode as well as various power-modes to conserve the battery. So far so good. So what is bad with the reMarkable Paper Tablet? So far I would say there are a few things I do not like with the reMarkable. As this is an e-ink device i thought the battery time would be excellent. So far it is not the case. It seems that there are a lot of work still to be done in making the tablet more efficient. One culprit seems to be the WiFi and you are recommended to turn it off when you do not need it to synchronised. 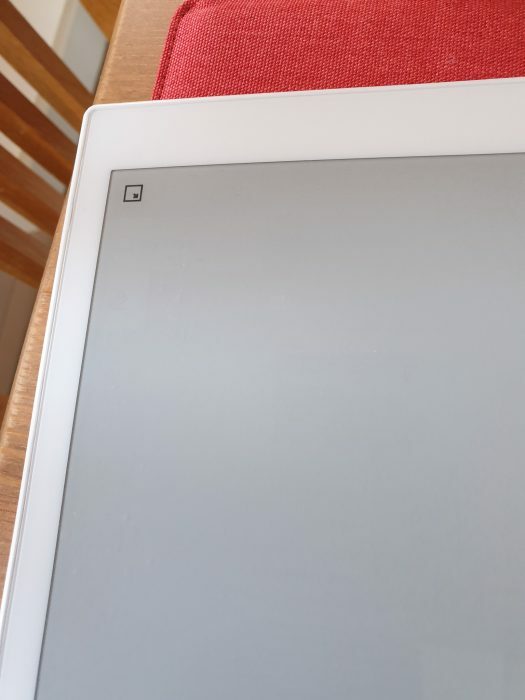 In fact, it seems now that it does turn WiFi off when the tablet goes into sleep as I noticed it is disconnected a lot. My suggestion would to have an option to synchronise via a button when then turns WiFi on, syncs everything , and then off. I cannot tell you exactly how long the battery lasts as it can depend on what you do but I found myself being worried about the battery every other day when I came to work. And I ran into the issue of having an empty battery a few times. I think it would have been great if the reMarkable came with a USB-C-port instead of micro-USB. It is the port of the future IMHO. In addition to the reMarkable Paper Tablet the company also sells a Folio for storing the reMarkable and the pen. It is available in polymer weave (mine is a red polymer weave), Wool Felt and Premium Leather. The Folio only stores the reMarkable and then pen and you need to take out the tablet to start using it. 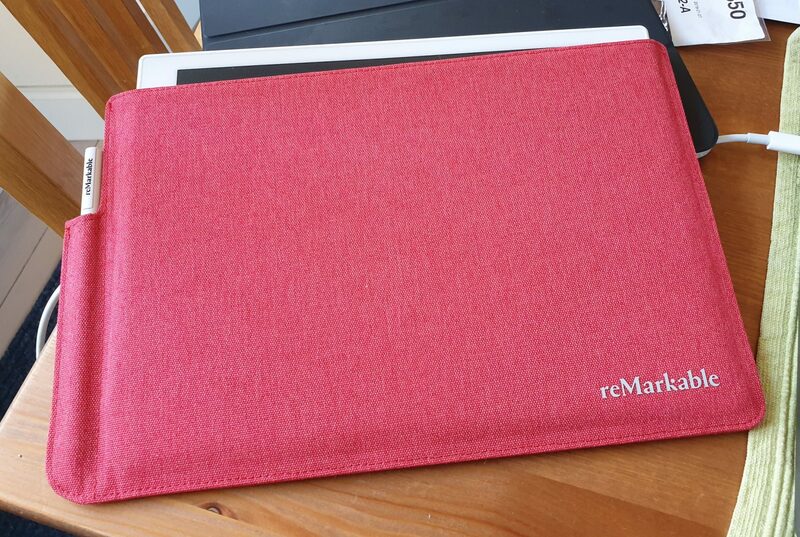 I would actually like a case/folio for the reMarkable that works like for example the Smart Folio for the iPad so you did not have to take out the reMarkable from the folio.